This treasure hunt was fueled by Out of Our Minds Art Studio. 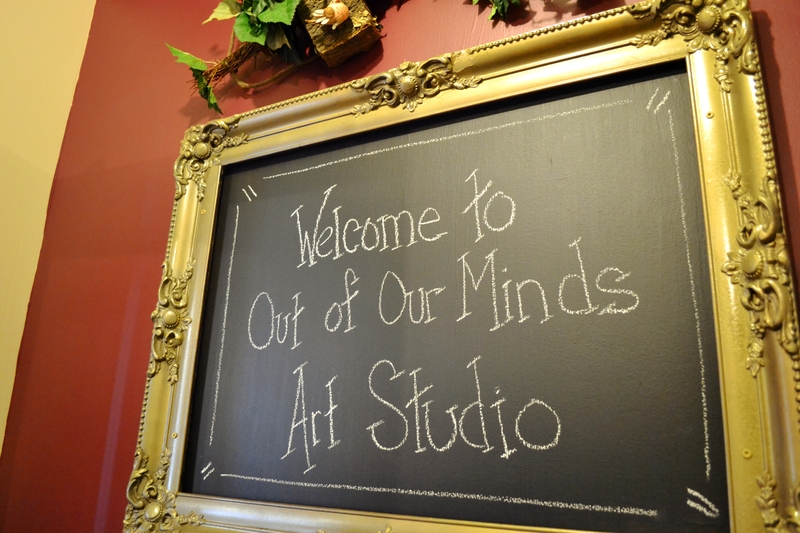 Out of Our Minds Art Studio is nestled in the town of Macungie. 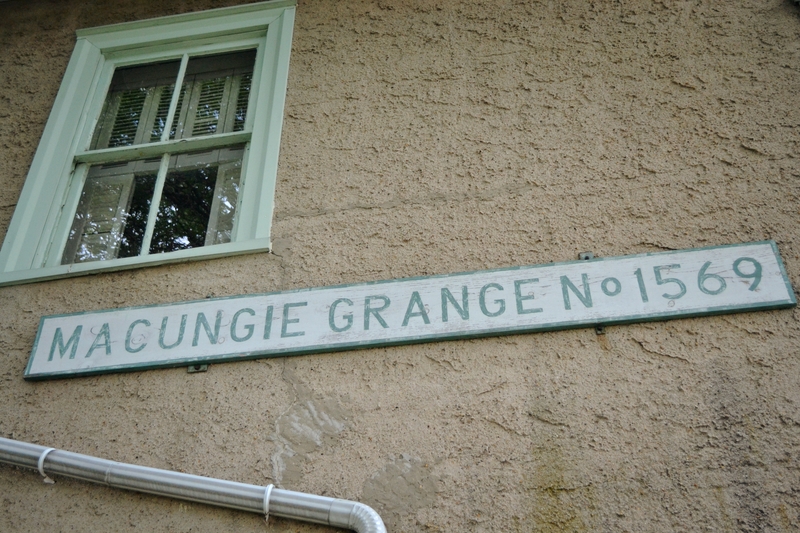 It resides in the Macungie Grange on Lea Street that used to house one of the oldest granges in Lehigh County. A grange is a farmer’s association. For some history, an article can be found on the Morning Call’s website here regarding the thriving organization back in 1985. The Grange’s new owner, Angela D. Faidley, created a playful environment in the open space of the first floor which acts as the art studio. It is an wonderland – everywhere you look there is a new surprise – from a nun doll on the bookshelf to a metal cowboy boot umbrella holder by the door. 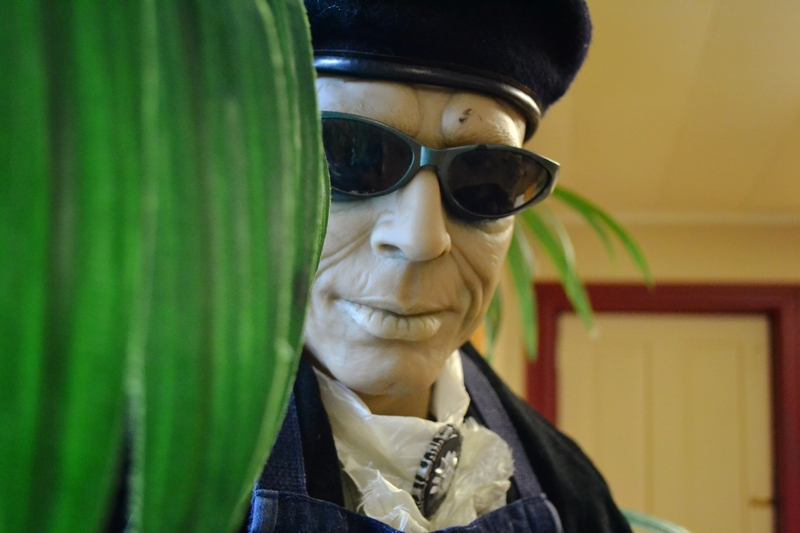 There are many intriguing art pieces hung on the walls, leather couches, bright chairs with metal tables, paint can planters, a vintage popcorn machine, and a six foot mannequin! 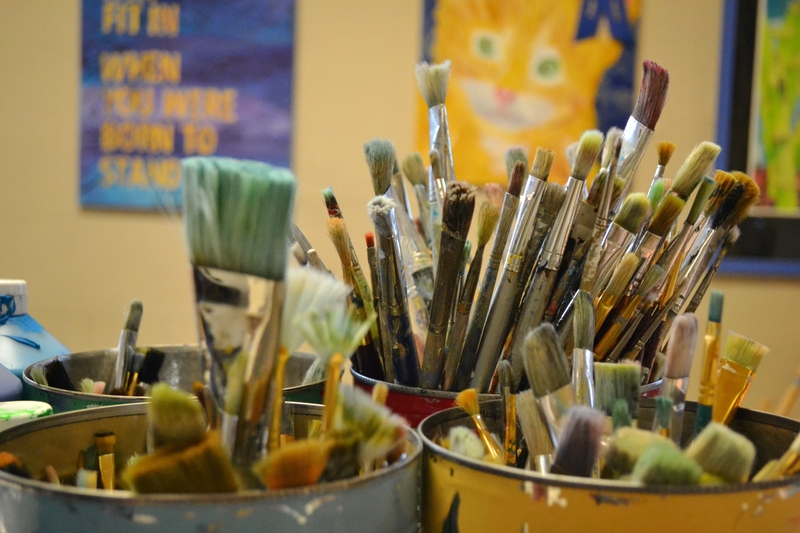 Over the years many art studios have popped up in the area, most prompted by the popularity of the paint parties – for children and also for adults. Social media feeds were soon swarmed with photos of groups proudly holding up their adaptations of the instructor’s piece. Out of Our Minds Art Studio runs many classes to cater to this trend. 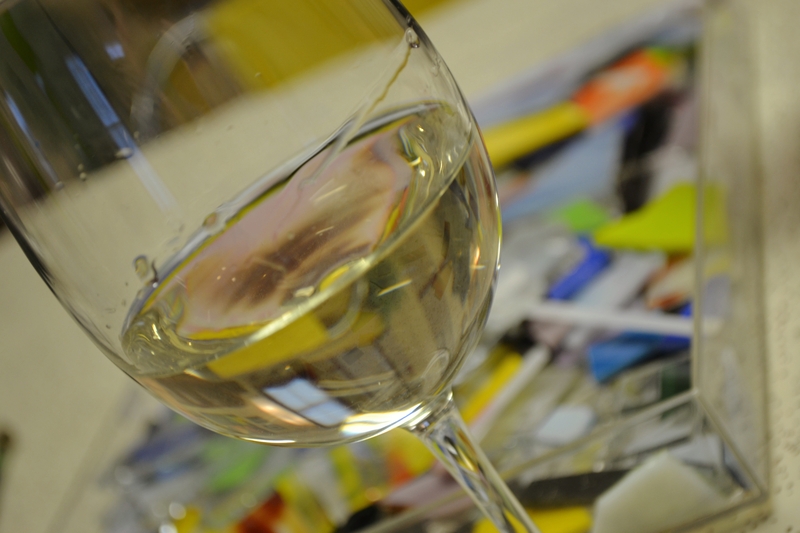 Angela even stated that the most popular classes are the ones painting trees or beach settings, but the studio also offers more than just paint parties. 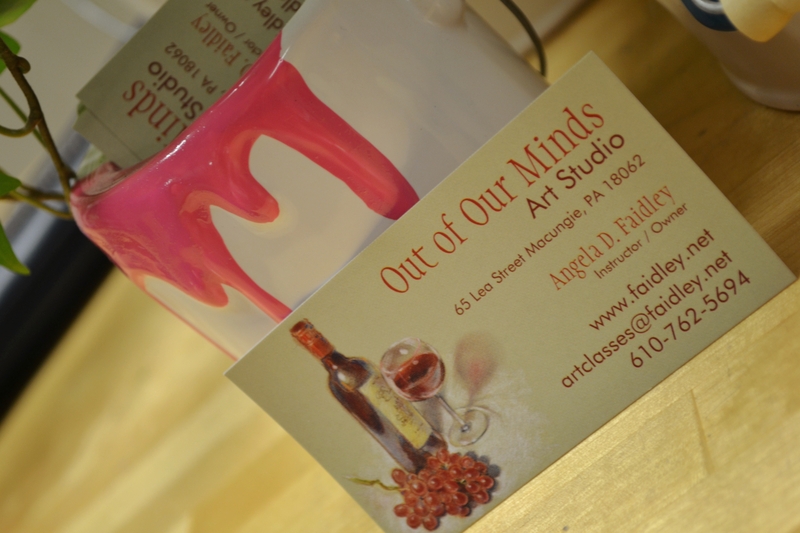 What sets Out of Our Minds Art Studio apart from other art studios is that they provide everything for the customer. For a child’s party all the customer has to provide are the kids and the cake – they take care of everything else, even the party bag! 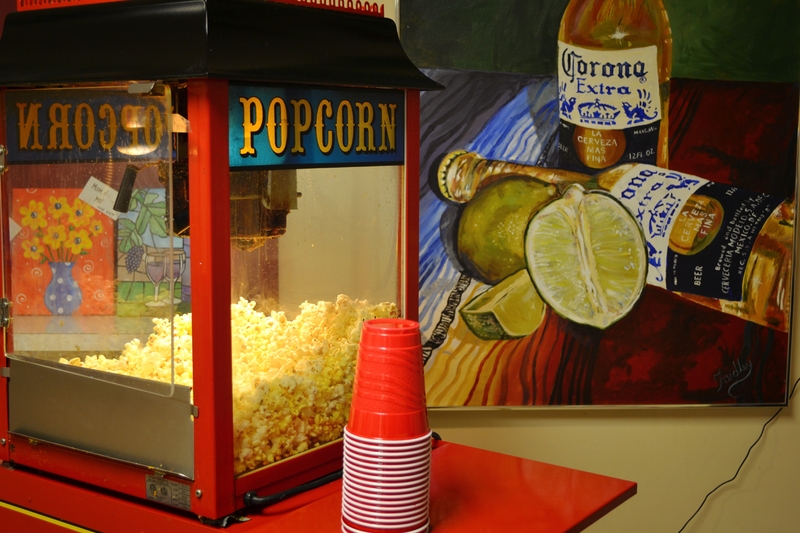 For adult parties, they provide everything, even the liquor! A full list of all the party essentials they provide can be found here. One intriguing class Angela offers is the dichroic glass pendant class. Dichroic glass is glass that undergoes a change in color in certain lighting. It is multicolored and reflective, creating a unique look to a pendant. A thorough explanation of the “rocket science” of this material can be found here – it’s worth the read! 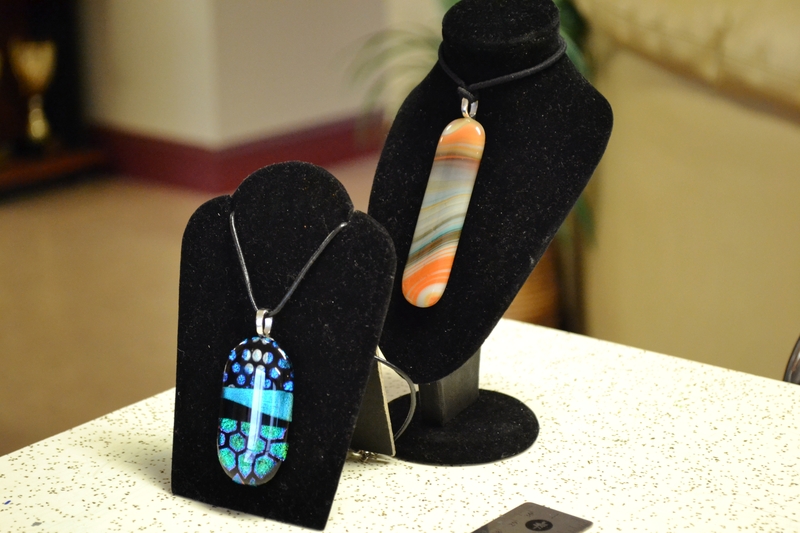 The dichroic glass pendant class was the class covered at Out of Our Minds Art Studio for this post. 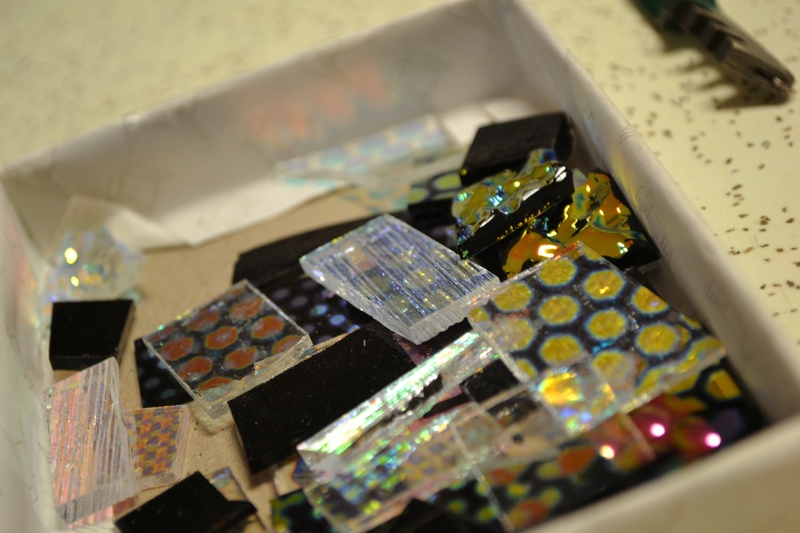 The bulk of the process was cutting and layering glass (while snacking, laughing, and drinking). Once you assembled the pendants, you would windex the glass to clean all smudges. The last step was dabbing the piece with a tiny dot of Elmer’s glue to hold the layers together. Angela then gathered the pendants to later fire in the kiln. Days later you have three to five finished pieces that are ready to be strung on a chain. If you would like to check out the dichroic glass pendant class or see what others are available, check out the Out of Our Minds Art Studio website. For more details about children’s classes go here and adult classes here. If you are crazy for art be Out of Your Mind at this studio! You’ll be laughing walking out the door. Besides, normal is overrated. Thank you Vanessa for visiting the studio and for the excellent blog, you captured the essence of the studio!